Earlier today I got to check out Ben Stiller‘s latest directorial effort The Secret Life of Walter Mitty. In the film, Stiller stars as the eponymous LIFE Magazine negative asset manager who, incapable of standing up for himself in the real world, retreats to a fantasy where he becomes his poised, confident opposite. On his quest, he seeks to find a missing image taken by a photographer played by Sean Penn. The movie stars Kristen Wiig as his love interest, and Adam Scott, Shirley MacLaine, Patton Oswalt, and Kathryn Hahn. 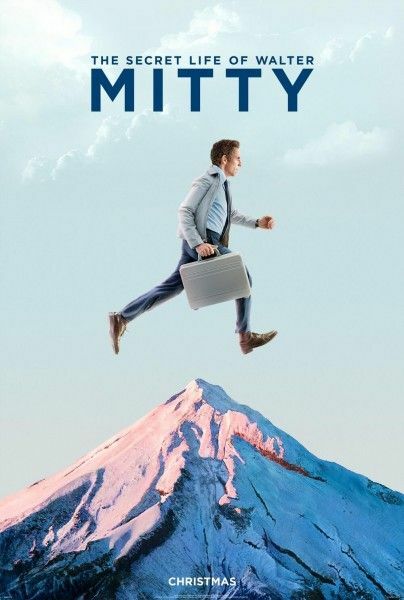 While Stiller is known for his great work behind the camera on Tropic Thunder and Zoolander, Walter Mitty is definitely his most adult effort to date and the film is a beautiful look at life. I loved it. Shortly after getting out of the screening, I recorded a spoiler free video blog with Peter from /film. Hit the jump to watch and here’s the trailer if you missed it. The Secret Life of Walter Mitty opens December 25th.